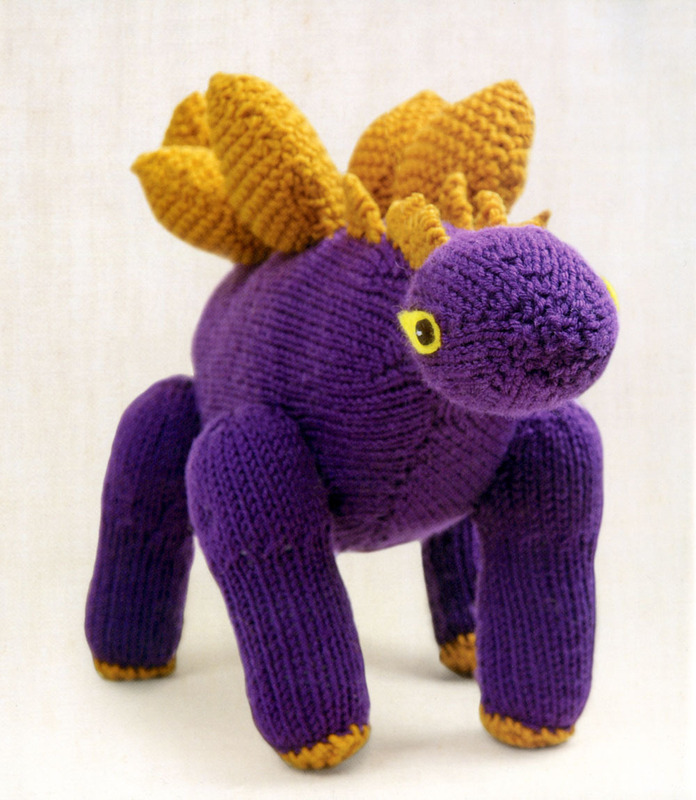 Yesterday, we reviewed the totally fun new knitting book by Tina Barrett, Knitted Dinosaurs. Well, the wonderful folks over at STC Craft/Melanie Falick Books have given us a free pattern from the book for a knitting social! 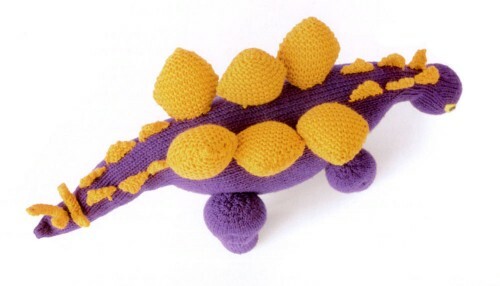 We’ll be knitting the Stegosaurus. Look at this guy! I bet you have a dinosaur fan on your holiday giftlist who would love to find this guy with their name on it. 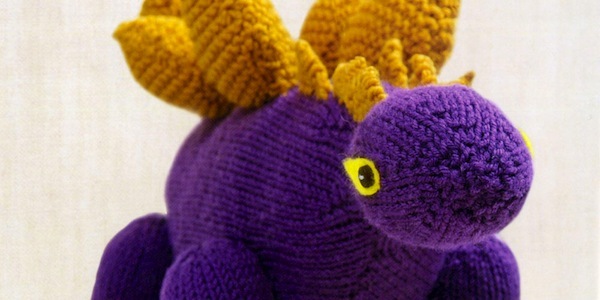 There is plenty of time to knit up a couple of these ferociously cute dinosaurs. This great toy project is even manageable for the beginning knitter as all the pieces are knit flat and then seamed and sewn together. Plus, we’ll be doing it as a knitting social, so you can knit it along with us and we’ll be posting tips and tricks as we go. So, let’s get started! Download the Stegosaurus Pattern and let’s getting knitting. Make sure to share the photos of your color choices and progress on our Flickr group. You might be spotlighted in an upcoming posts (and hint, hint those pictures also might just get you extra entries in an upcoming giveaway). I’m thinking a red Stegosaurus might be cute…or maybe green…. *Disclaimer: We were given a copy of Knitted Dinosaurs to review and giveaway as well as a free pattern download from the book. We were not compensated in any other way. 7 years ago by Kat in Knitting , Knitting Projects , Knitting Socials , Needlecraft , Projects , Socials | You can follow any responses to this entry through the RSS feed. You can leave a response, or trackback from your own site. Silvia – Yea! I need to go through my stash today & pick out my colors. Lovely. I’ll have to see what I have in my stash!